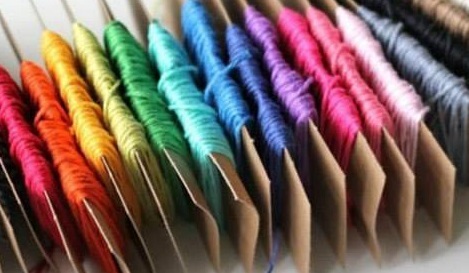 I was a cross-stitcher, back in my high school and college days, and love how versatile the baker's twine from The Twinery is for hand-stitching on layouts, cards and in mini albums. After die cutting several solid butterfly die cut shapes, I embellished the center by stitching the center with solid Pink Sorbet. 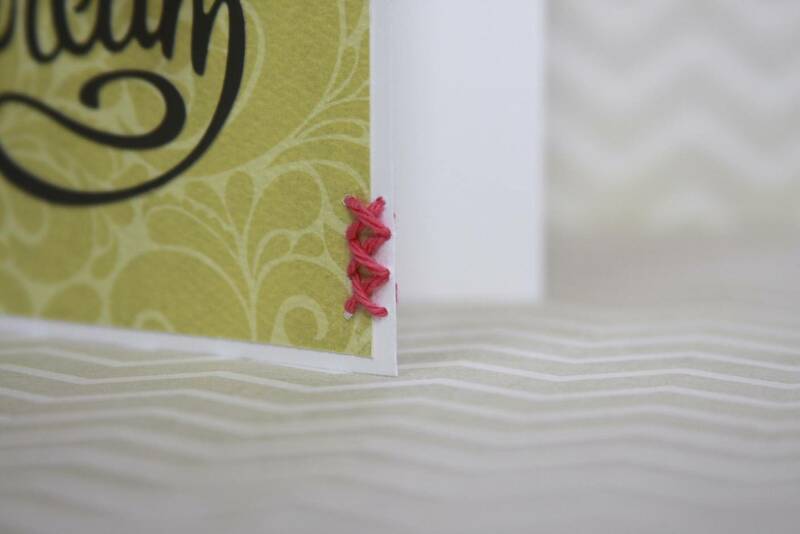 To further embellish the card, I added the Dream die cut and cross-stitched, in solid Pink Sorbet again, along the edge. I hope you all have as much fun hopping along as we had creating with baker's twine, die cuts and stamps. 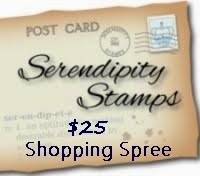 Check in with The Twinery and Serendipity Stamps for details on how to win these fabulous prizes. ...and here's today's Hop Lineup so you don't get lost! 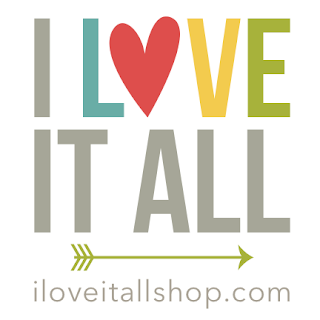 Monika Wright - http://www.iloveitallwithmonikawright.com/ ➸ that's me! Love the layered butterfly, and the cross stitching on the card. Beautiful card and fun use of twine! Love the color of twine you used, Monika! Beautiful! love the layered butterfly! 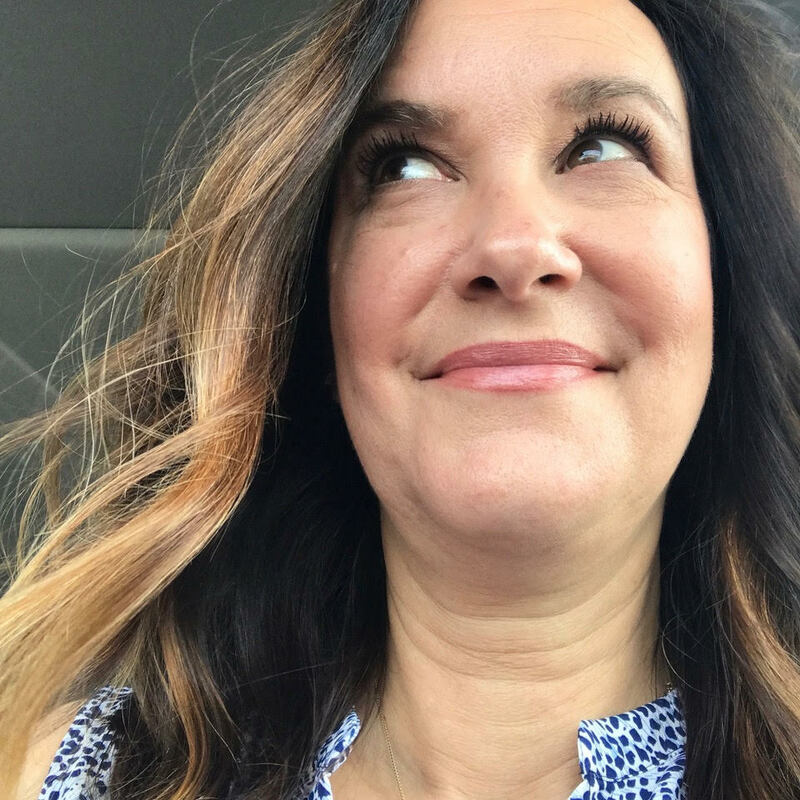 It's always a joy to come by your blog! 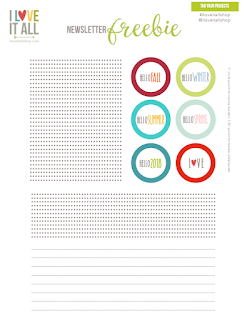 Your projects make me smile every time :) Beautiful work, my friend! Beautiful card. love the embossing, the layering of the butterfly. thanks for sharing. Beautiful! 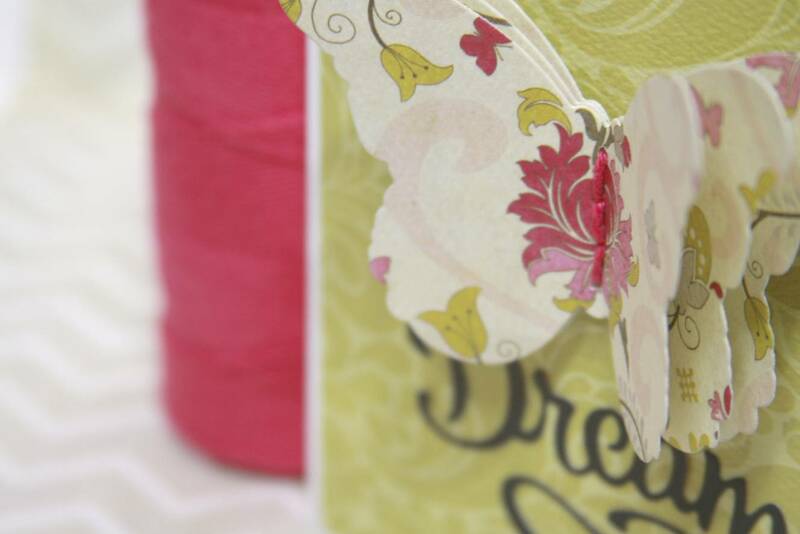 Your pattern paper butterfly is just dreamy - perfect with that sentiment! Love the colors and that butterfly is so pretty. Pretty card and the pink twine is a cheerful touch. This is beautiful and you've used my favourite colour combo! 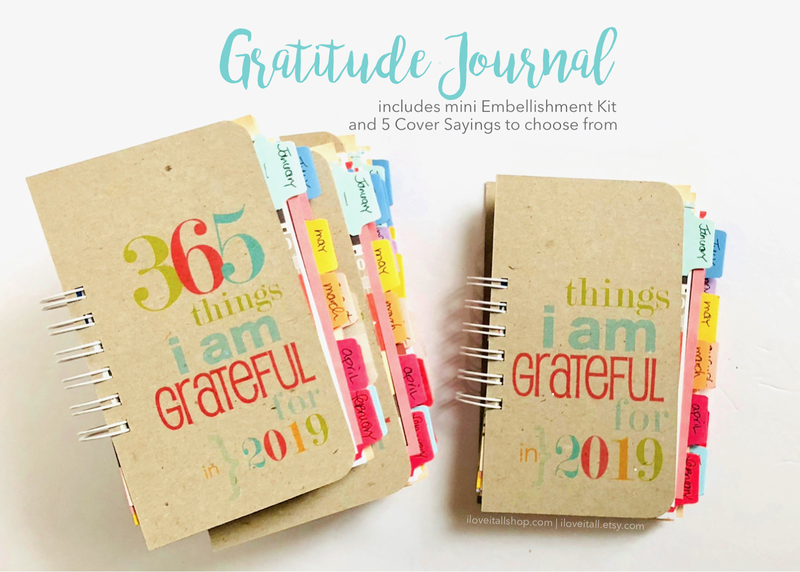 Love the sentiment stamp and the cute use of twine! oh my godness your card is so beautiful! Hey, Monika, I used to do a lot of cross-stitch, too! Love the creative way you used the twines on your butterflies! Very pretty and the stitching adds the perfect touch. So elegant and pretty my friend. Hugs. Love the little touch of stitching you added in with the twine. Just gorgeous!